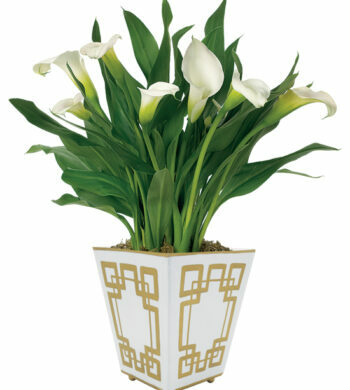 Add a touch of elegance to their spring décor or yours with this sophisticated bouquet of seasonal surprises. 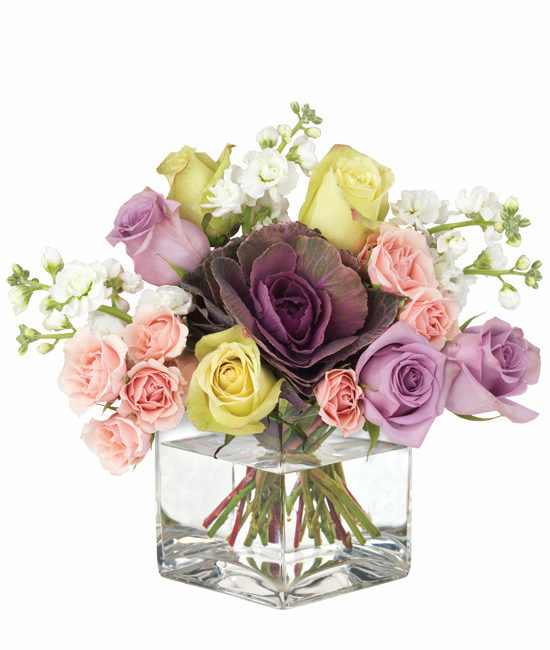 A gathering of pink Majolica spray roses, light green Jade roses, and lavender Coolwater roses together with fragrant white stock and purple kale celebrates the season, flaunting its chic style from our 5″ square clear glass vase. Perfect for any table centerpiece.